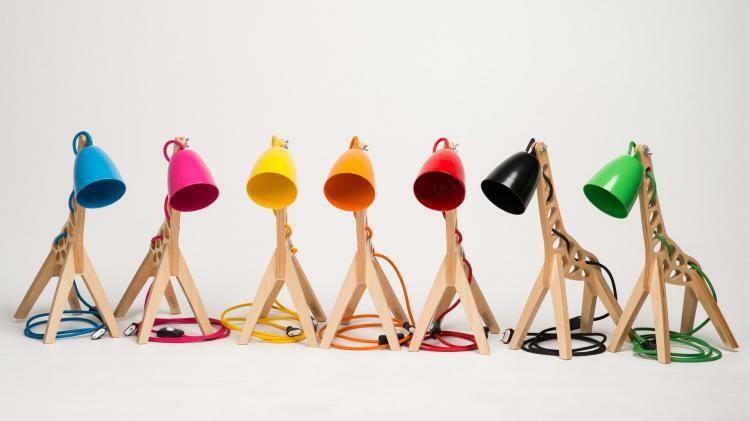 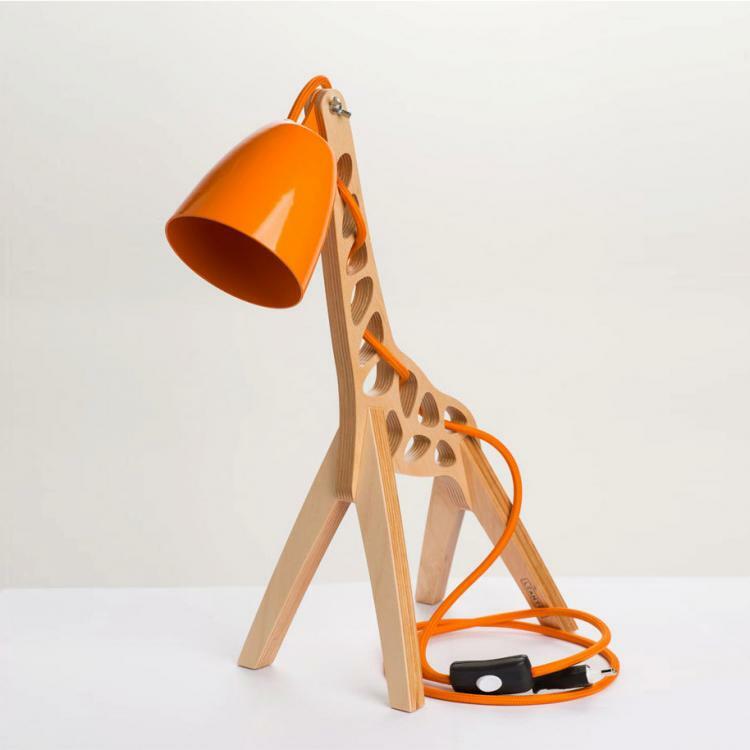 The Giffy is a beautifully designed wooden lamp that's made to look like a giraffe. 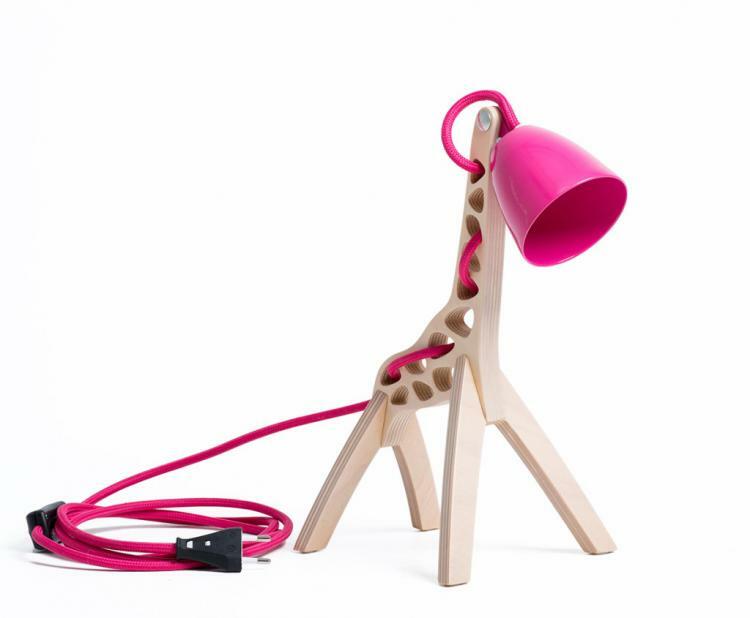 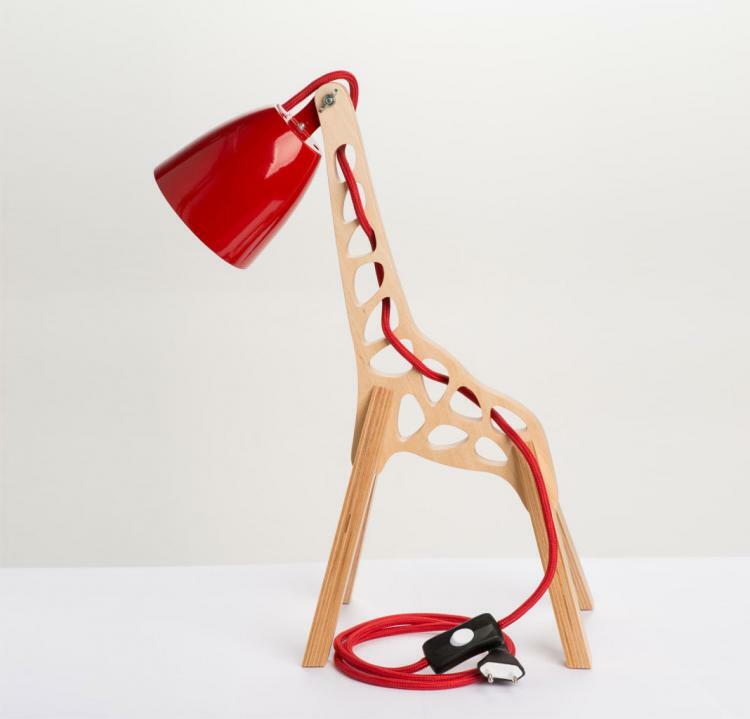 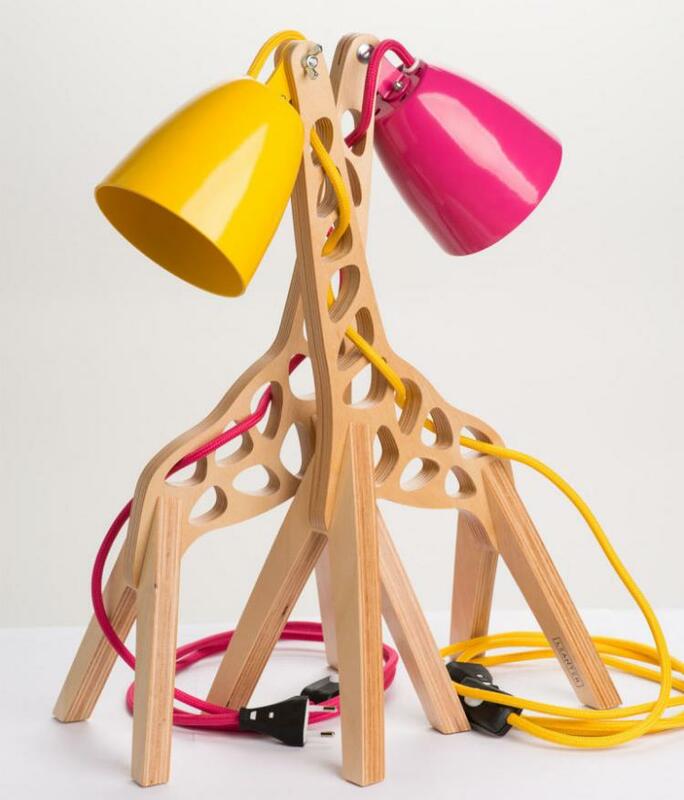 With the unique way the lamp was designed, the body of the giraffe is made wood with holes in it that represent the spots on the giraffes body, which the colorful power cord then wraps through the holes to get to the head of the giraffe which is represented by the matching colored lampshade. 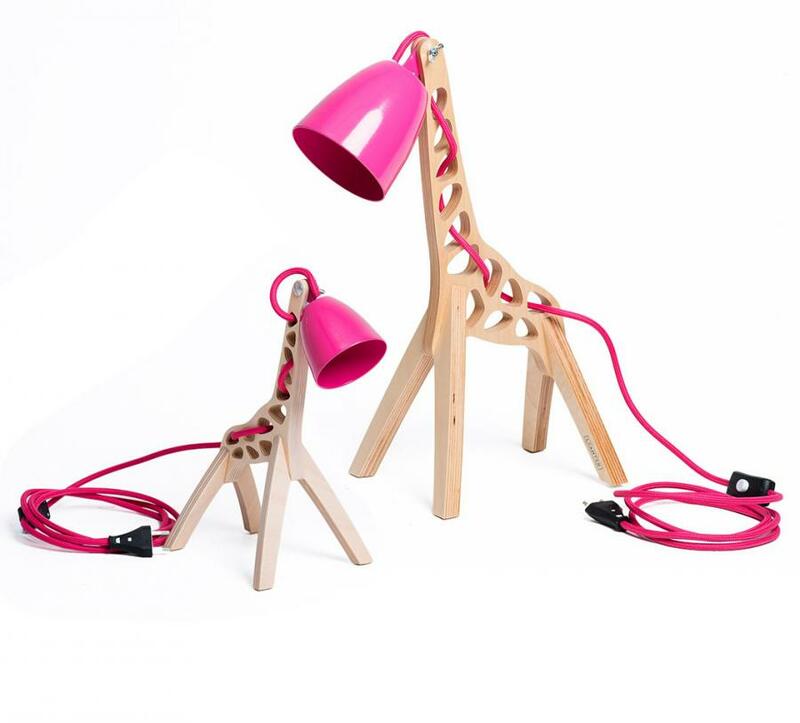 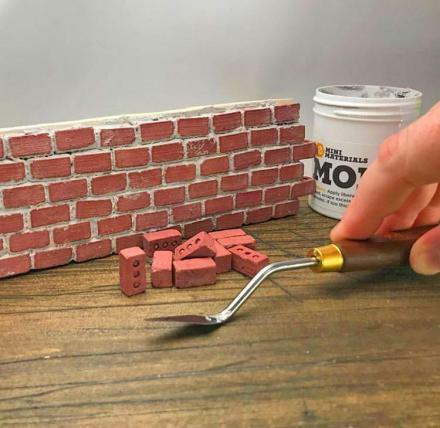 The giraffe lamp was originally just a concept with three different sizes in mind, including a medium sized desk lamp which is the only one currently for sale, a smaller mood lamp that looks like a baby giraffe, and a larger floor lamp that will eventually measures 6.2 feet tall. 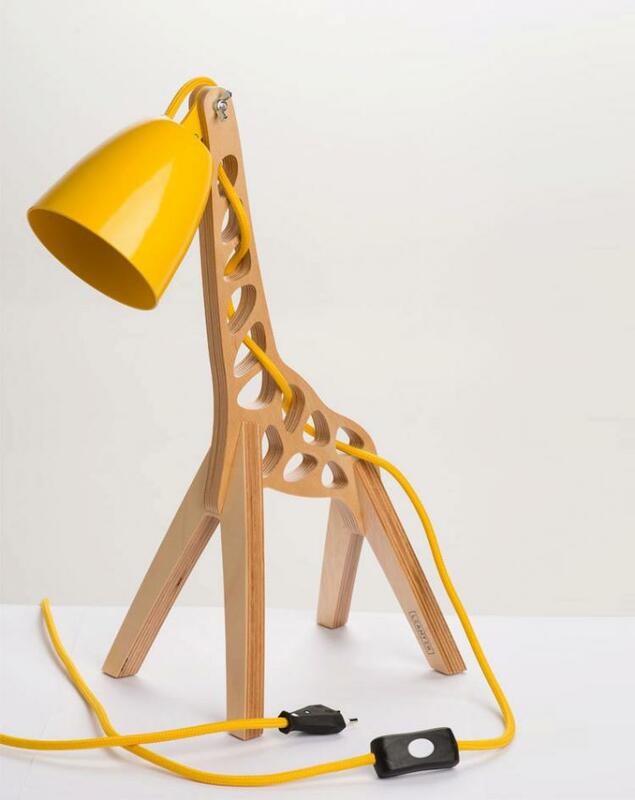 Designed by Leanter, a design company based out of Estonia, the giraffe lamp was originally inspired by a photo that pictured giraffes standing majestically next to acacia trees in the beautiful Savanna sunset, which represented the beauty and functionality that is so characteristic of nature. 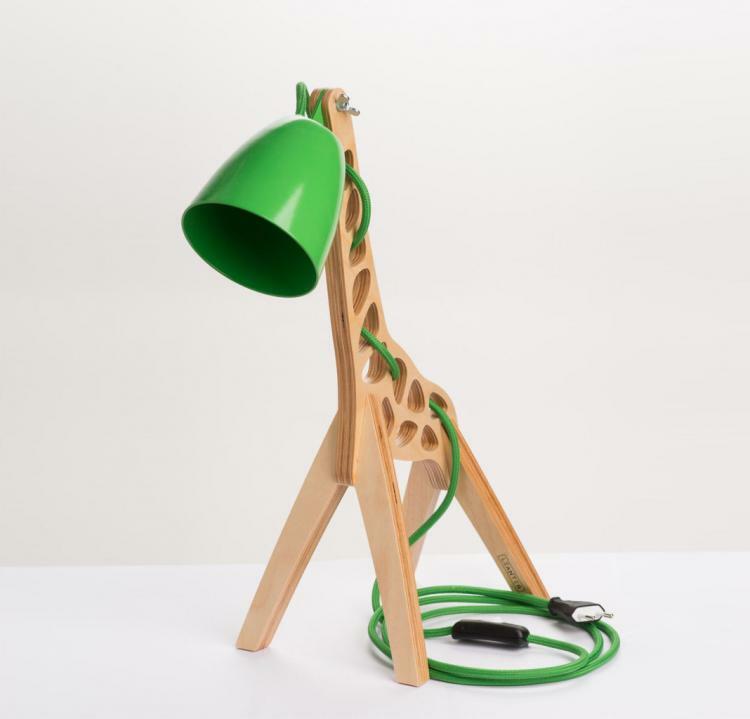 The giraffe lamp is made from thick birch plywood, will work with a single GU10 LED bulb that has a maximum wattage of 8W, and measures 17.7 inches tall x 6.7 inches wide x 13.4 inches long. 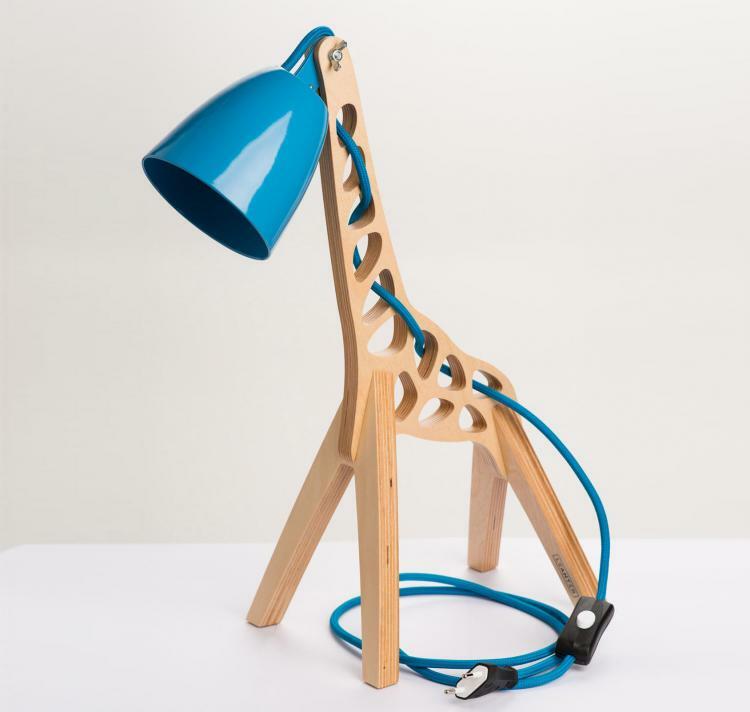 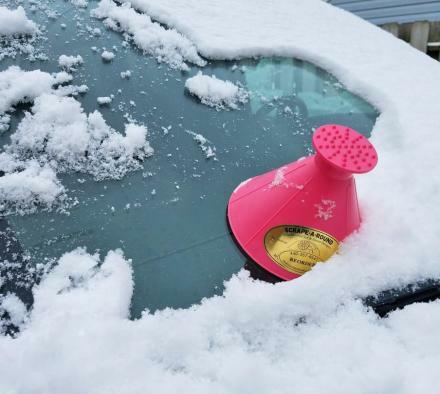 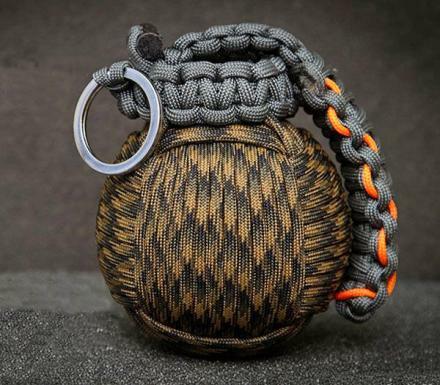 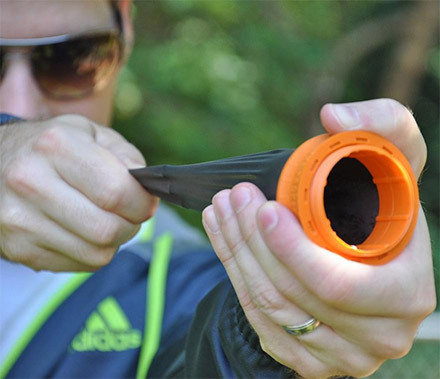 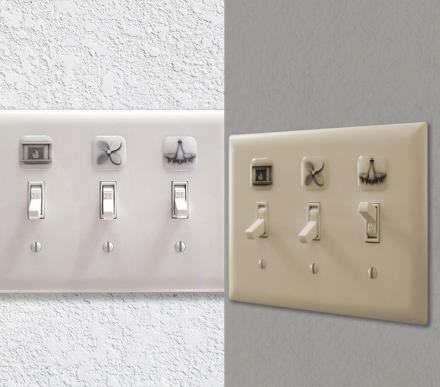 The lamp shade is made from powder coated 1.5mm thick aluminum, and both the lamp shade and power cord come in a few different colors to choose from. 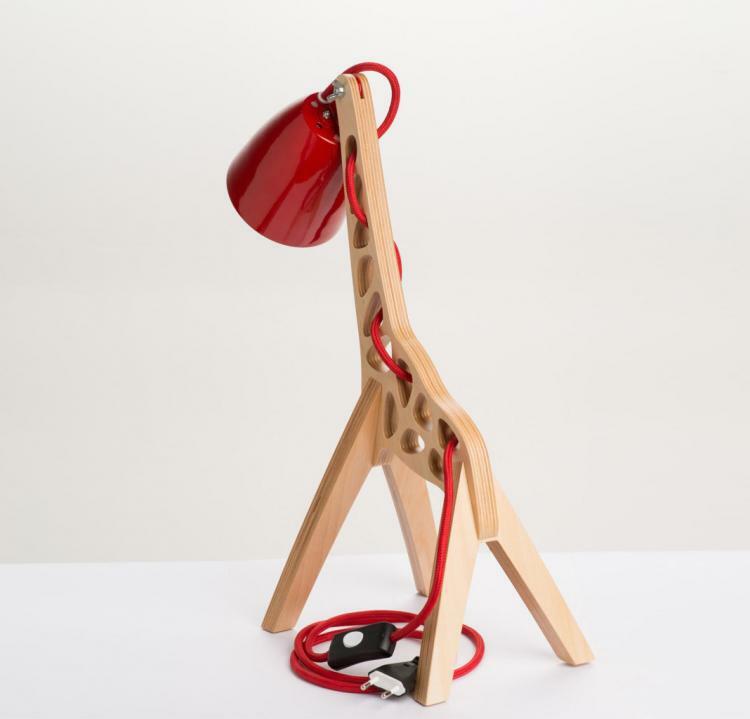 Keep an eye on their Etsy store for when the smaller mood lamp and giant floor lamp become available.